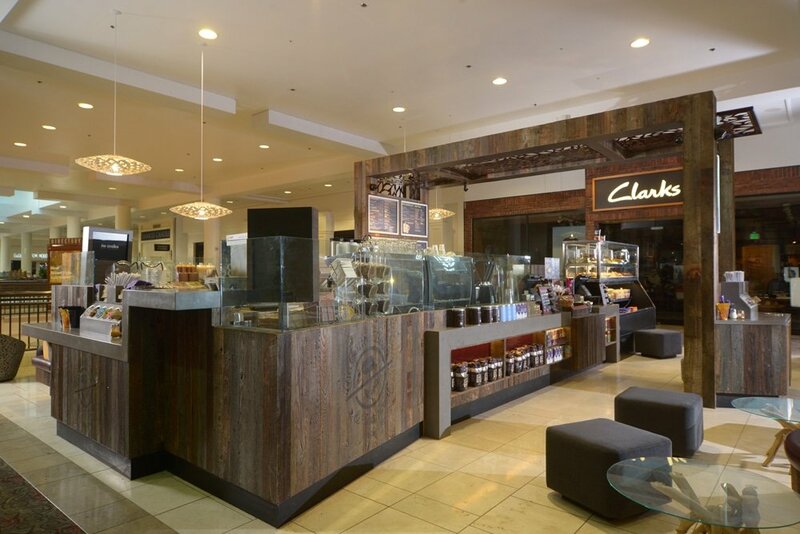 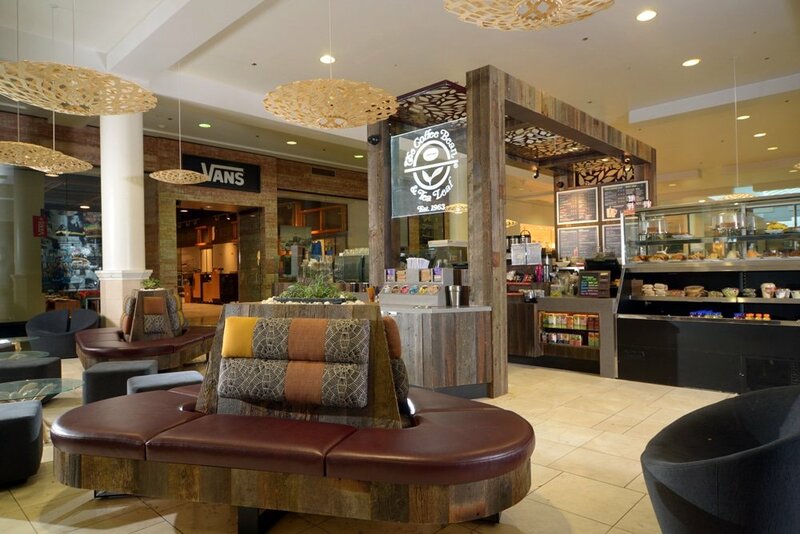 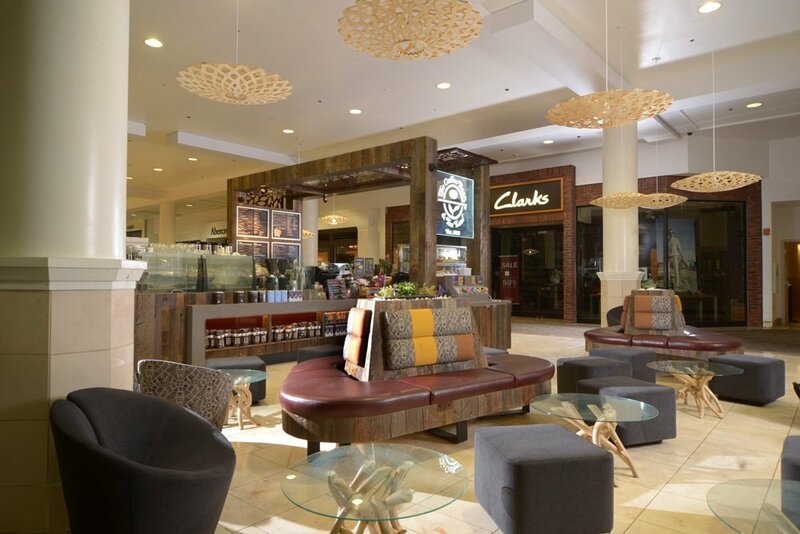 This Coffee Bean & Tea Leaf is located in Santa Clara at the Westfield Valley Fair mall as a kiosk. 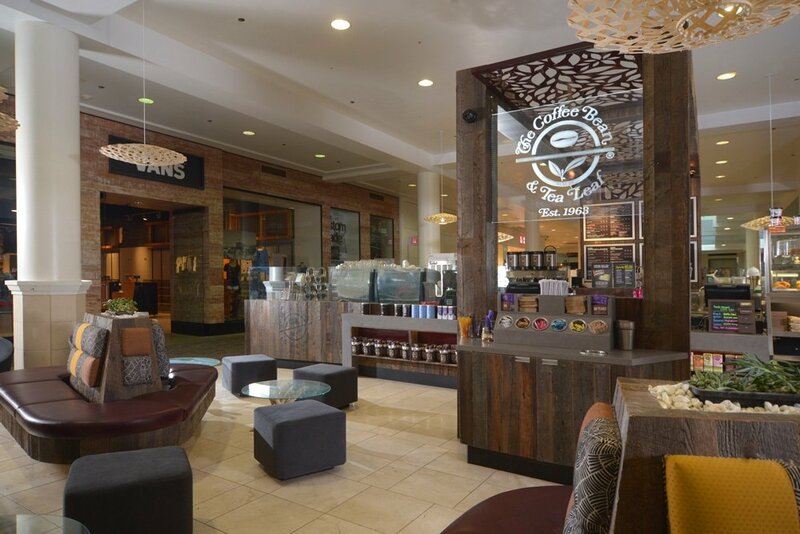 This was our first project with The Coffee Bean & Tea Leaf. 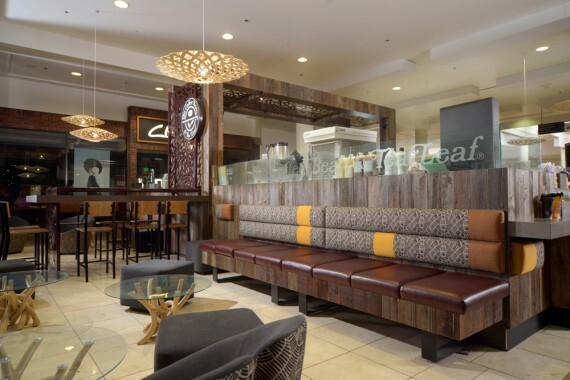 The layout posed a challenge on the design side; the owners wanted to have an open floor plan with the slight ambiance of being at home, while the designer wanted less of an open floor plan and a warmer environment. To achieve the look, we installed custom reclaimed pickle wood, custom LED lighting, custom hanging ceiling light fixtures, custom seating, and custom ornamental metal work. 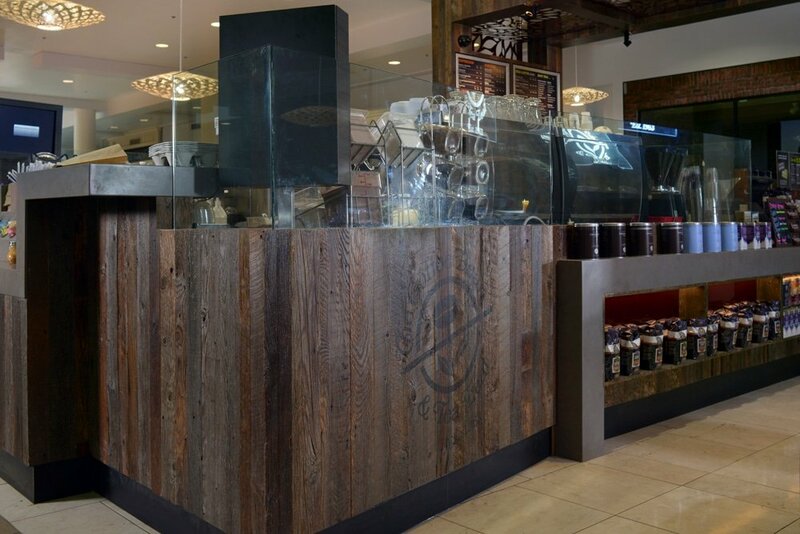 We had to build the coffee bar from the ground up as well as install all new plumbing. 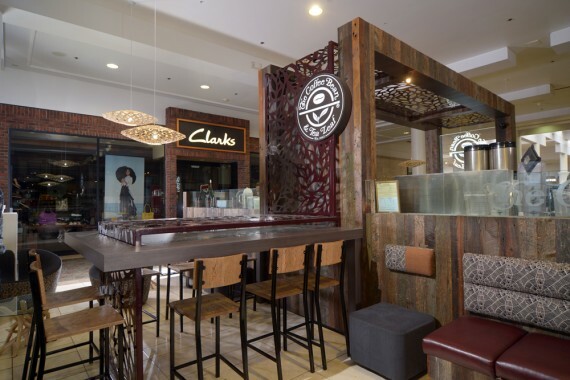 All the work had to be done at night after mall hours, and the kiosk is in the middle of the mall, adding to the complexity of the project.Despite these challenges, we completed this kiosk location within the tight two month deadline.